Remove user and master password from Adobe PDF Reader. The Tool is precisely to removing PDF security, that's make the limitations to the user's from copying, editing, extracting or printing of the documents. This software can remove the both owner and master password from it. The master level password security easily removes from PDF file but the user password security is a tough process. For this kind of critical security can erase via PDF Password Remover software. In Business or Enterprise license, PDF Unlocker Software accessible to remove password from multiple PDF documents at once. The numerous of documents able to load into the tool for removing PDF security. Load the PDF file in the tool, it will provide the information about the limitation of the file. This software will also offer to preview the details before and after process of the PDF documents of there permissions. It will remove the password protection from PDF file without any harm to the texture of PDF file. It will also provide to the unlock PDF file, same as it, before removing the protection from it via PDF Password Remover Tool. This software ensures that the data stored in the file will maintain the graphic quality and the contents of the PDF file. It just detached the limitation from Adobe PDF file. For your confidence on this product and its functionality, PDF Unlocker tool is offering with the demo version of this software. The facilities of the trial edition are provided similarly as the full version of the product but it will be the different in the resultant of the PDF file i.e. it will remaining the watermark on the PDF file. The testing of our Software will give you the confidence about the quality and operability. The complete version of this tool is available at multiple licenses i.e. personal, business and enterprise license. The personal license can process numerous file but it can't process in batch. For the batch removal, it facilitated in business and enterprise license. Will this software help me to unlock secured PDF file to remove password from it? Of course, it will help you to remove the both master and user password from the PDF file. If the PDF file is protected with the user password, then the software will ask you to enter the password and after that, it will remove the restrictions from it. Why doesn't support to add multple PDF file in the demo version? It will not support in demo version because the software shows you the functionality of it and even in the personal license too. The multiple PDF file password removal will support the business and enterprise license only. Does the software able to unlock the PDF file if I have created the PDF through Adobe Acrobat XI? 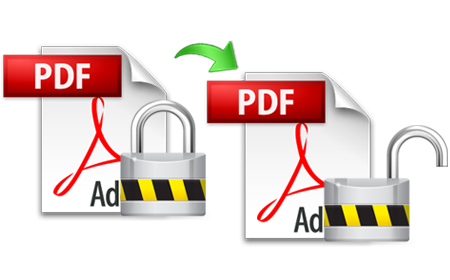 Yes, PDF Unlocker software will remove password restrictions from PDF files, created with any version of Adobe Acrobat. Therefore, PDF files generated with Adobe Acrobat XI is able to unlocked with this tool. Is this software work to repair the corrupted PDF file? No,this is not for the corrupt PDF file. It supports only healthy state documents. Use any PDF Recovery software for recovery. and then process a healthy PDF against the tool. This product gives me the dual benefits. The software preserves the originality and provides another PDF at the different folder. I owned the business license of the PDF Password Remover and absolutely convinced with its work. PDF Unlocker Software is an amazing tool. Its speed and the accuracy factor is worth praise. I thank the support department to whom I contacted, understand my query, and provided the most suitable solution at a reasonable price. I cannot compromise the security of my PDF file contents and thus I believe in having a tool in my desktop rather than online services. I am absolutely satisfied with the product functioning and grateful to support team for their wonderful suggestion. Usually, I remove my PDF file protection through the help of the browser. But it takes a lot of time if I try to remove the restrictions from the multiple PDF files. Thanks to this PDF Unlocker Tool. This software really save my time to remove password from all of it.